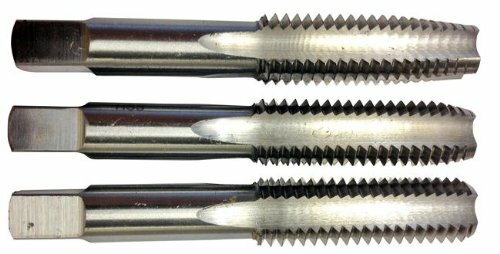 Drill America DWT Series Qualtech hand threading tap is the most versatile taps for hand use, or for tapping under power. Hand threading tap is popular for use in general machine tapping or CNC tapping. This is also appropriate for tapping the vast majority of materials in through or blind holed conditions. Taper style: starts the thread square with the workpiece. Plug style: generally used in thru holes. Bottom style: generate the thread to the bottom of the hole.